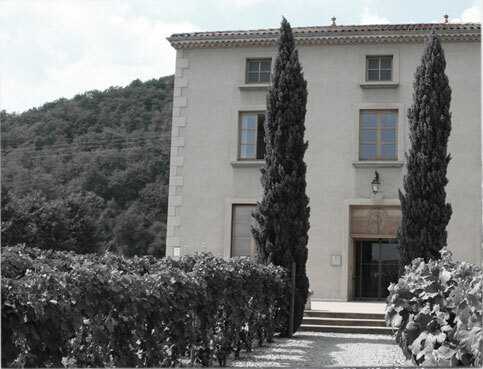 Since 1960, Cave Saint Désirat has been operating on the terraced vineyards bordering the right bank of the River Rhône, part of the Saint-Joseph AOP. and a Wine tourism section to help you discover our region. Almost 600 hectares, over 350 wine-growers, grape picking by hand, controlled vinification, and high-performance equipment. All key assets for our fine wines: Saint-Joseph AOP, Condrieu AOP, Côtes du Rhône AOP and Vins de pays d’Ardèche wines. This is a wine from the northern Côtes du Rhône, in the north of the département of Ardèche, on the hillsides of the right bank of the River Rhône. The vineyard is implanted on the south and south-east facing granitic terraces, the original terroir for these vine-stocks. In April the 7th free ! for 6 bottles purchased the 7th is free. In March the 7th free ! In February the 7th free !